Titles you've borrowed from your library will automatically be returned at the end of their lending periods. However, if you finish ebooks before then, you can return them from your ereader or computer using Adobe Digital Editions (ADE). 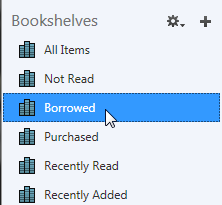 Use the steps below to remove expired ebooks or return the ones you finish reading early to free up space. If you want to remove an ebook from an ereader, connect your ereader to your computer. Open ADE and select Library from the upper-left corner, if needed. To remove or return titles from your computer: Click Borrowed under "Bookshelves." 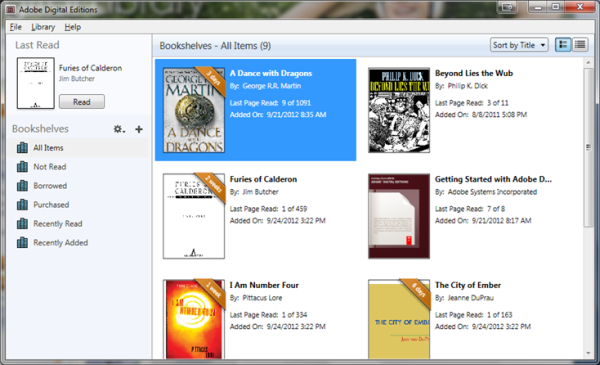 To remove or return titles from your ereader: Click your device under "Devices." Right-click (Command-click on a Mac) on the ebook you want to return or delete. 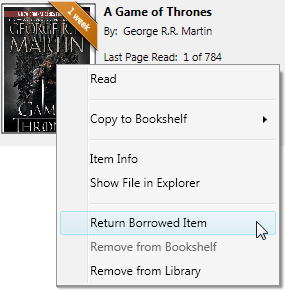 Click Return Borrowed Item to return the ebook to the library and delete it from your computer or device. Click Remove from Library to delete the book from your computer or device. It will stay in your library account until the end of its lending period, so you can download it again. Note: You can only return one title at a time. If the option is grayed out, make sure that you've only selected one book.